Welcome back! Apparently we have another chapter in the “longest mixes” saga that’s been runnin for a while here at M&J. Stones Throw‘s boss Peanut Butter Wolf did a 12 hour mix for boiler room, complete with tracklist, videos and soundclouds. Can you believe that? “And no, Cheerios did not pay me nor did they pay Boilerroom” says the man from his facebook account…. After the 2000F & Jamata one (9 hours) and The Doctrine (12 hours), here’s another big one. We’re going to put the first video segment here, as well as the tracklist so you can get an idea of what he plays, and then you can go find other videos or leave a comment on this boiler room page. Enjoy! This entry was posted on Thursday, February 7th, 2013 at 8:34 am. 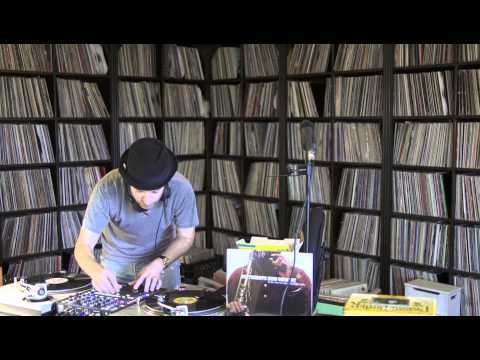 It is filed under Funky Beats, Mixtapes and tagged with Boiler Room, DjSet, Peanut Butter Wolf, Stones Throw, vinyl. You can follow any responses to this entry through the RSS 2.0 feed.